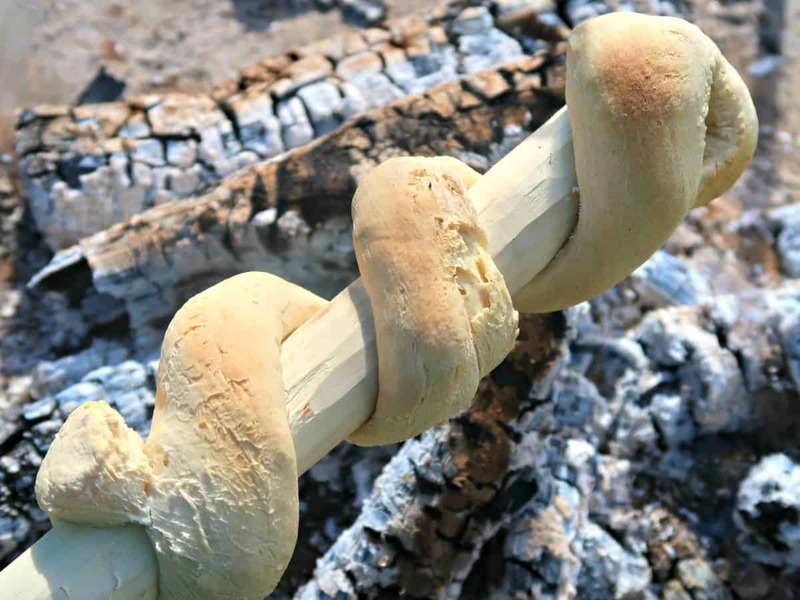 Everyone loves cooking on a fire, and making bread on a stick couldn’t be simpler. Measure out the dry ingredients into bags before you leave the house then mix in the water when you are ready to cook. Roll the dough into a sausage shape about as thick as an adult thumb. Twist around the end of a freshly cut stick where you have removed the bark, leaving space between the coils for the bread to expand as it cooks. Cook over the embers of a fire, frequently turning until golden brown and the bread has a hollow sound when you tap it. Once cooked, it should be easy to remove from the stick by twisting it and pulling it off. To make one portion of bread. Creating and following track signs is a brilliant outdoors family activity and a great way to entice kids outside. I can’t think of one child who doesn’t love following clues, and since it’s a visual activity that works with symbols, even the youngest members of your family will be able to join in. You can find a printable version of the common track signs here. 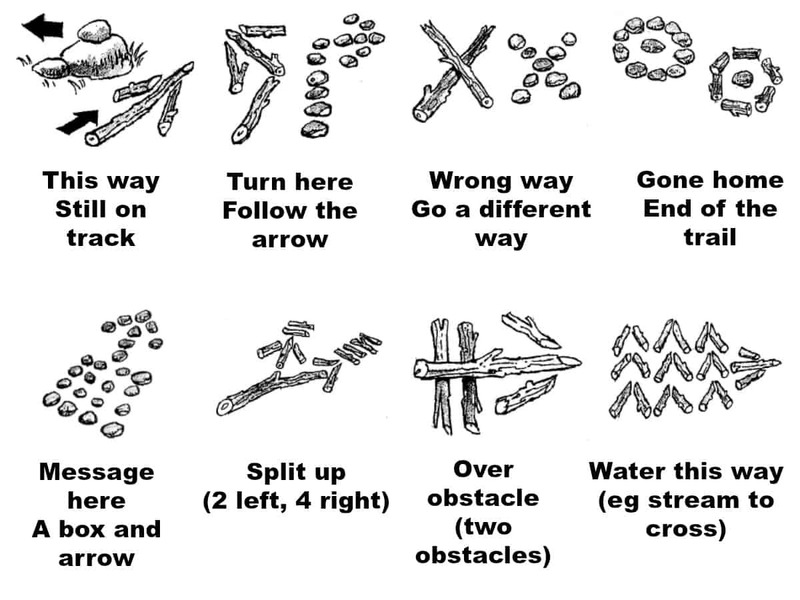 As well as being fun, learning to lay and follow a trail is a useful survival skill. It is particularly helpful in woodland where it is harder to get your bearings, and easy to get lost. Leaving a sign where footpaths intersect makes it so much easier to retrace your steps. 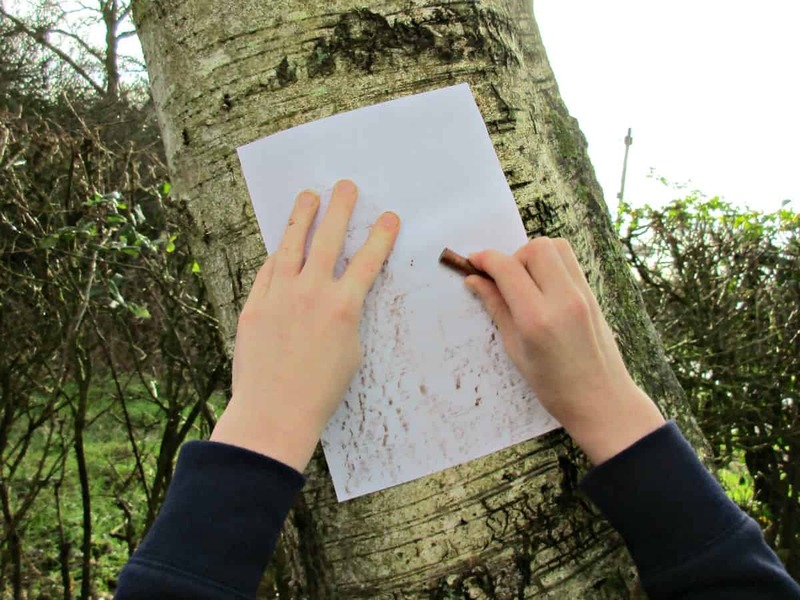 Tree bark varies wildly between species of trees, and taking a rubbing is a great way to focus on the different patterns and textures, as well as making a record of a particular tree’s bark. The process itself is super simple. Use wax crayons and plain white paper, using the side of the crayon to take the print. The beauty of this activity is it gets you close up and personal with the tree, rather than just admiring it from afar. Once you have taken your rubbing put your ear to the trunk – you might be surprised by what you hear! Maps are so much more than just tools for navigation. 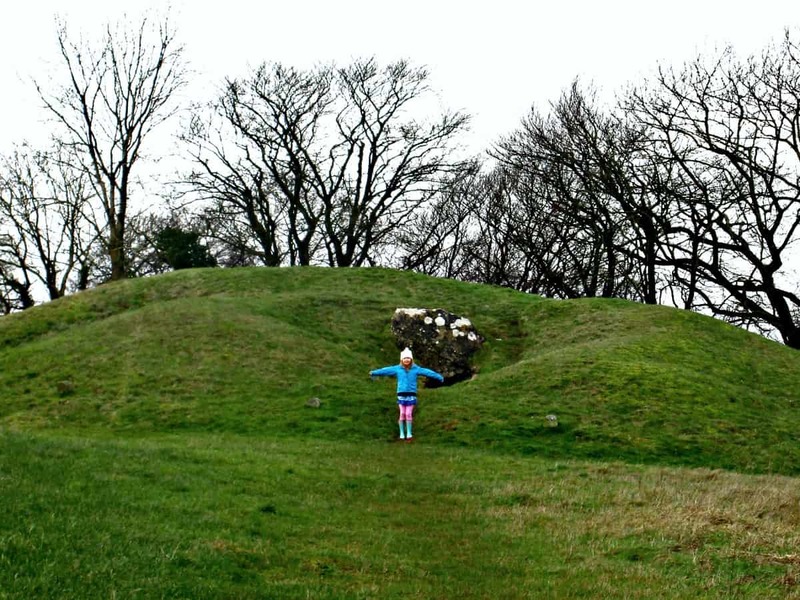 They contain a wealth of information alongside the public rights of way and topography. Some show us where railways and canals once ran, and where castles once stood. Many contain clues to ancient farming practices and where battles were fought. Maps offer a visual history to an area, and once you start looking you’ll be amazed by what you can find. Get the kids to pick a site that sparks their curiosity then get out and explore. Take inspiration from the fantastic natural history films we all love and make your own. Get up close and personal with insects or record the day in the life of the squirrels in the park. If you fancy an extended project why not photograph a favourite tree from the same spot every day for a year and stitch them all together. Who knows, you might kindle an interest that lasts a lifetime! Technology is now so accessible you can bring Springwatch into your own home. Set up a webcam or camera trap and see what animals visit your garden and house. Check out our DIY Swallow Cam here for inspiration. You are never too old to make a den, and there is no right or wrong way to make one. 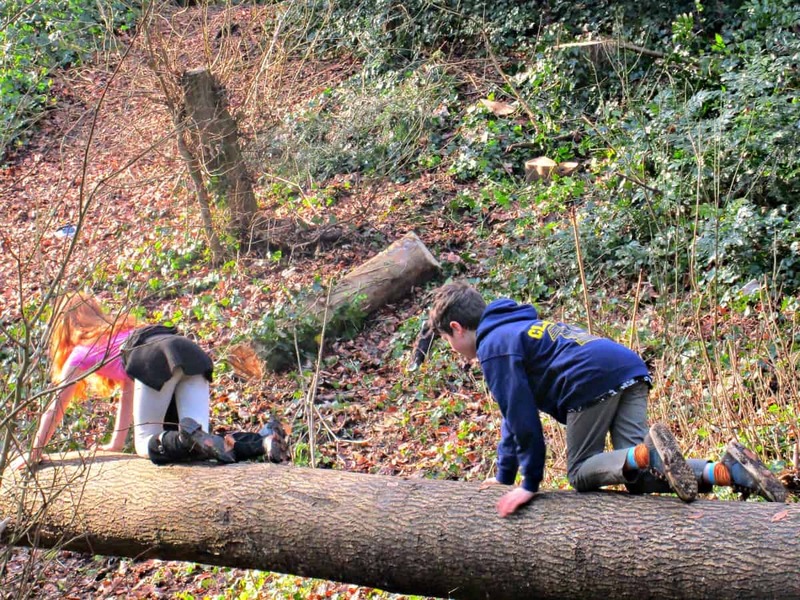 Try using natural materials such as fallen branches, sticks and leaves that you forage from the woodland floor. The more foliage you use, the more waterproof it will be. Alternatively, carry a tarp and cord out with you as a ready to go kit. Den building encourages teamwork and problem solving and really is a great way to spend an afternoon. Even routes you know really well will seem like an adventure in the dark. Night hikes give you the opportunity for star-gazing, storytelling and spotting some of our precious nocturnal wildlife. 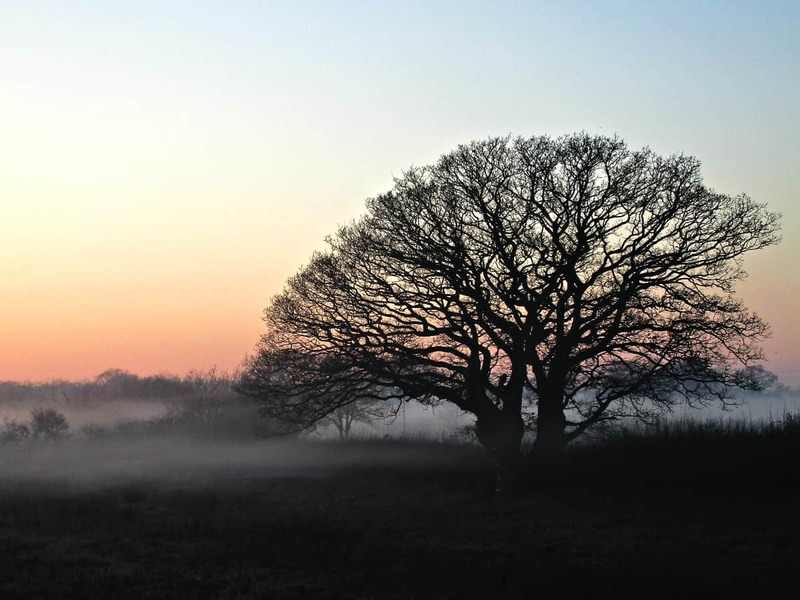 When night falls, there is a reduction in man-made noise, so it’s an excellent opportunity to hear the outdoors. A star-gazing app will help you identify our constellations – why not download one before you head out. Whether you make up your own using clues or a map or prefer searching for something that others have left, treasure hunts are a great family activity. 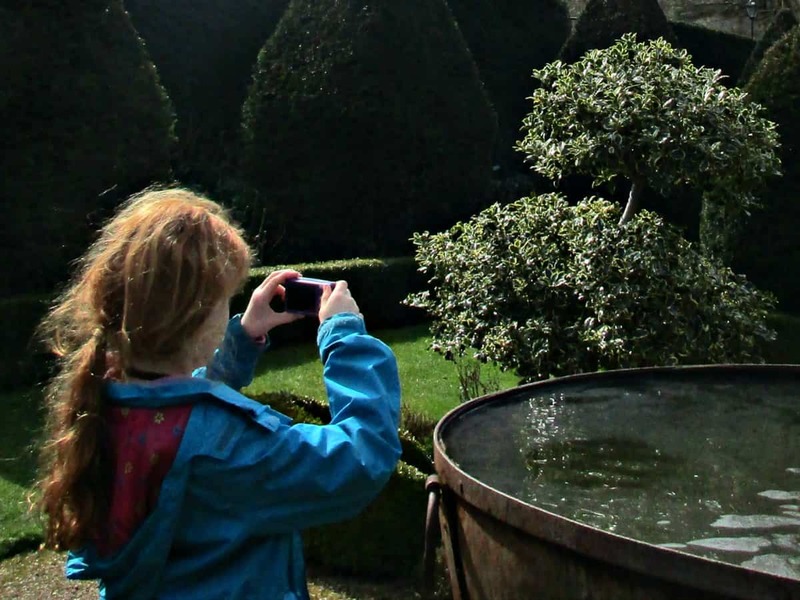 Many family attractions such a National Trust properties provide their own, while conservation charities such as the Wildlife Trusts offer spotter sheets that can be printed off to take out for a walk. Whether you want to spot the signs of spring or the nature found in our ponds, there’s a sheet for it. 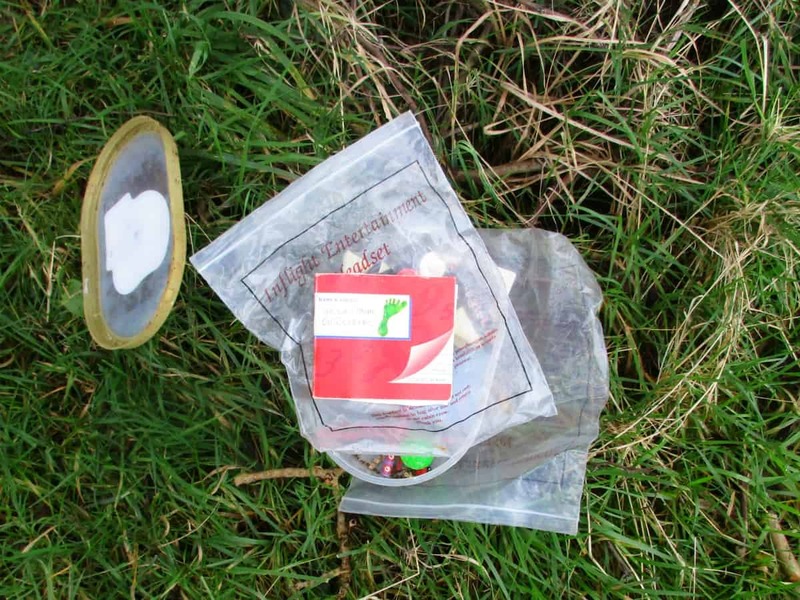 For those who love to combine technology and the outdoors, Geocaching is a GPS-enabled treasure hunt leading to a cache that has been left by others for you to find. To help kids understand how maps work, try getting them out in the local community to create their own. Back at home use, the information gathered to create a map of your local area. To test the quality of the map give it to someone who does not know the area well, and ask them to navigate their way to one of the features. 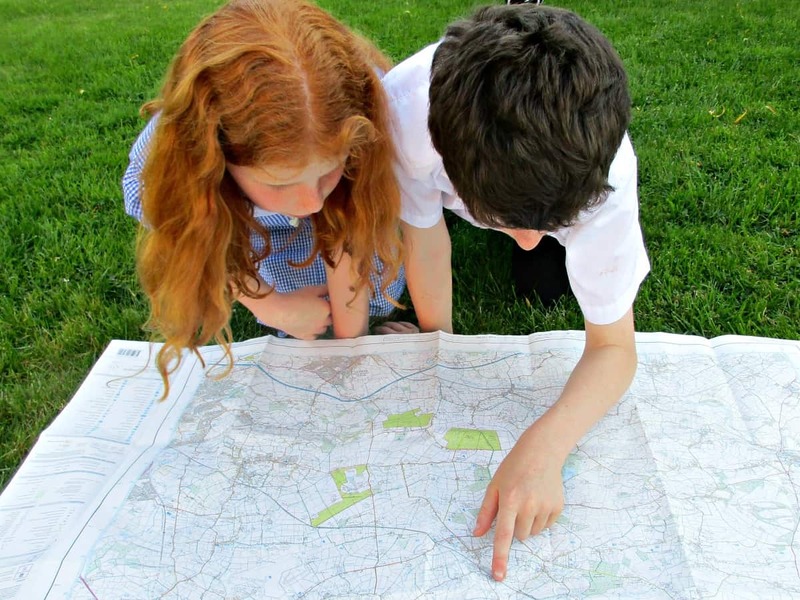 For a more comprehensive look at learning to read a map please visit our introduction to basic map reading. Obstacle courses are a great way to get kids active. Climbing, balancing, and running around madly always seems to appeal to kids, even if they are not so keen on traditional sports. 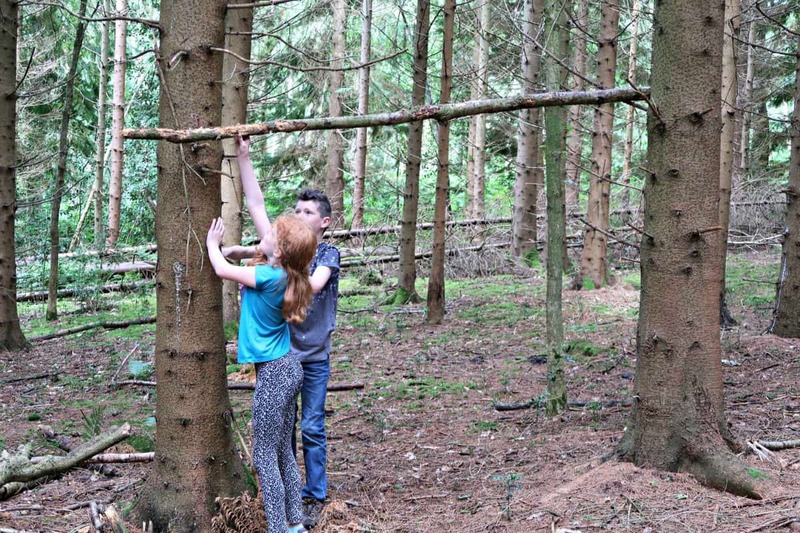 There are more and more wild play areas popping up as people become more aware of the importance of spontaneous play in outdoor and wild spaces. But even if you cant find one near you, nothing is stopping you from making up your own. My favourite trick when the kids have too much energy is to get them to race the dog to a distant tree and back, and if there’s a couple of logs to climb over, or a stream to splash through on route, so much the better! 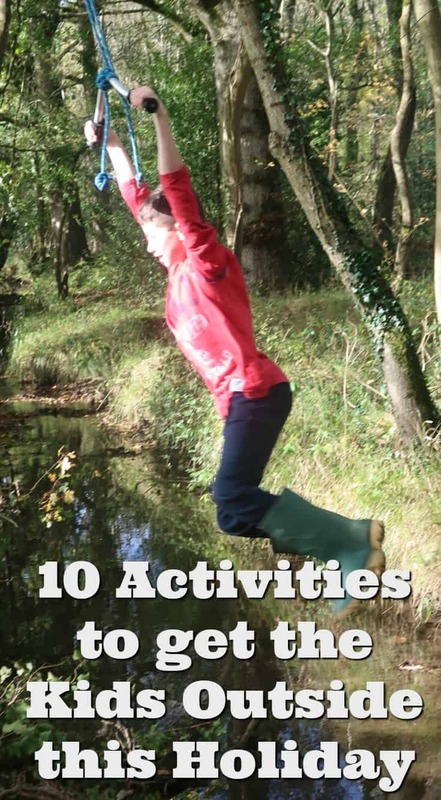 A great collection of ideas for kids to get outside. These all sound like so much fun. I especially like seeing different people’s maps of an area – it is a great insight into how different people navigate, what they think is important, how they understand the world. I might just enjoy some of these suggestions during the next week. I’m sure my daughter will love it. Thank you so much for sharing these activities!